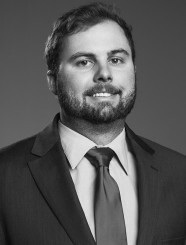 Mr. Fairleigh is a Valuation Associate that works out of Generational Equity’s Dallas office. He works with the clients to conduct a detailed analysis and prepare valuation and exit planning reports designed to illustrate industry and business performance, projections, and overall enterprise value. Prior to joining Generational Equity, Mr. Fairleigh has experience working with several international companies in Barcelona, Spain and Santiago, Chile. Mr. Fairleigh earned a Bachelor of Business Administration in Finance & Economics at the University of Alabama and a Master of Science in Finance at Southern Methodist University.